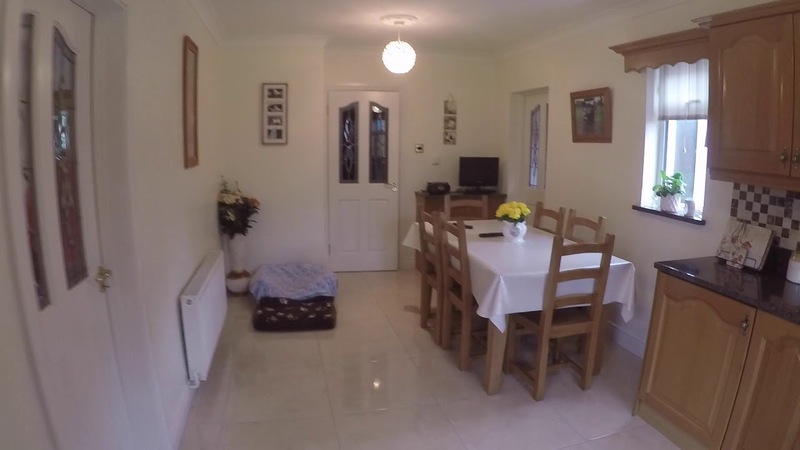 This 4-bedroom house with rooms to rent on Swallowbrook View is very homey. Stained glass windows greet you at the front door. As you enter the house, you can either go up the stairs to the shared bathroom, or head down the hall into the kitchen. The L-shaped kitchen is fully equipped and huge. It has sunny windows, and it’s furnished with a dining table where you can socialise or just sit down and have a meal. A door on the left takes you to the laundry room. And a door to the right leads to a manicured backyard garden. You are about 40 minutes northwest of Dublin centre in Blanchardstown. It’s a much quieter spot than anything close to the city. And you have the added bonus of beautiful green spaces all around. You aren’t secluded, though. Once you dive into the neighbourhood, you’ll find lots of activities. The Blanchardstown Shopping Centre is a 20-minute bus ride away. You’ll find plenty of shops, express restaurants, and a cinema here. But there are some local pubs and restaurants closer to home. The kitchen is a spacious and there is a laundry room. You can enjoy the backyard garden during warm weather. There is a gym and supermarket within a 20-minute walk. The Institute of Technology is a short bus ride away. Castaheaney bus stop is a 5-minute walk away. It serves routes 70 and 270. Clonsilla railway station is a 15-minute ride away on bus number 39. You can catch bus 39 at Blanchardstown stop. It’s a 10-minute walk away. You will be sharing the kitchen and other common areas with the live-in landlords, who are a retired couple in their 60's.